It’s ironic that a food, human or animal where the word ‘prescription’ appears in its name should face a recall. A Prescription conjures an image of medical professionals in white coats, human and animal, writing up barely readable lists of meds. Of the 19 foods on this recall list, 11 are Prescription diet food. As pet parents, we rely, often, with blind faith on companies, to produce foods and products that are safe for our pets. As parents, it is your responsibility to ensure you give your “fur babies” the safest products in the market. We’re here to help you, please read the article attached. The list of recalled foods is long, make sure your dog or cat is not affected by the recall. 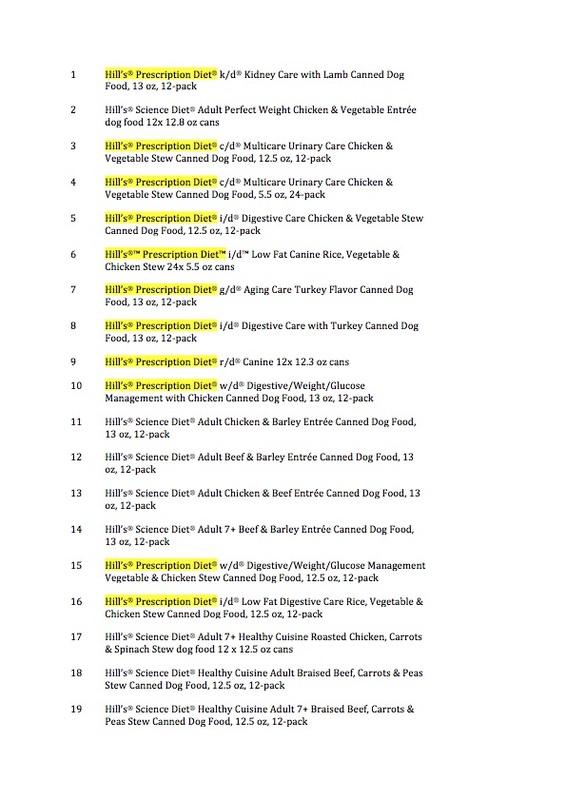 Look at the list below, each name marked in yellow is a Prescription Diet food. Dr. Susan Thixton’s in depth article on the recall is attached here https://truthaboutpetfood.com/hills-pet-food-expands-recall/ for you. Older Why do you start a pet business? Why do you start a pet business? Lower Parel, Mumbai – 400013, India.